Vinyl is widely used for windows and patio doors for a good reason. That’s because low-maintenance, energy-efficient vinyl replacement windows don’t need painting, staining or refinishing. Fully welded sashes and frames add strength and durability. Vinyl is cost-effective, durable, energy efficient and has a low impact on the environment. The material is highly recyclable and can be used to create other vinyl products – like more windows! Vinyl is a good alternative to other types of window materials because of its price and energy efficiency, which often provides tax-incentives. It’s made from a plastic material called polyvinyl chloride (PVC). PVC has a high R-value, which means it provides a significant amount of insulation. But price and energy efficiency are just a few advantages of vinyl windows. HINT: Get new replacement windows installed now before the weather heats up so you can save money on your electric bill when the A/C kicks in. Get a quote. Lower Energy Costs. Vinyl windows keep heat in during winter and out during summer. This reduces heating and air conditioning usage for lower energy bills. Low-Maintenance. Vinyl windows are nearly 100 percent scratch free. They never have to be painted, scraped, or stained and they’re easily cleaned with soap and water. Because they’re resistant to the elements, they don’t age as fast as other windows. Affordability. Vinyl is the least expensive of all window materials, but this doesn’t mean vinyl windows are low quality. Vinyl is durable, and it won’t rust or corrode. 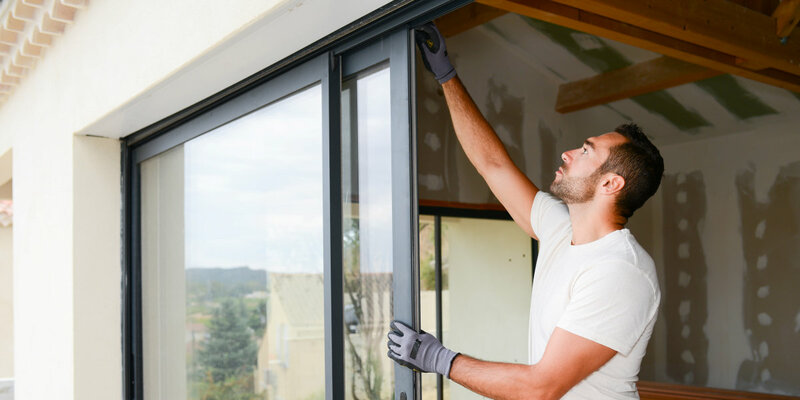 If your windows and doors are Energy-Star Qualified – all Metropolitan products are, by the way – then chances are you will quality for a tax-credit. This saves you money and adds value to your home if you ever decide to sell. EcoCool Solar Reflective Colors. Call today to see them for yourself! Customization costs. Vinyl windows are difficult to shape, so manufacturers use a process known as extrusion. For standard windows the costs are minimal, but custom windows can cost more depending on the scale of the project. Color customization. Vinyl windows come in a variety of colors, but you cannot paint or stain the interior to match the decor, so it’s best to choose a neutral color. HINT: This helps to increase home value sell-ability, as it will appeal to a wider group of potential home buyers. There is no one-size-fits-all when it comes to choosing the best replacement windows, sliding patio doors or French doors for you and your home. But vinyl replacement windows are quickly overtaking wood as the standard material chosen by Southern California homeowners due to their high performance and low cost. New technologies have helped this material overcome its poor reputation as being “cheaply made” and catapulted vinyl into the home improvement spotlight. However, it is still important to evaluate the company, installers and manufacturing process of the vinyl windows you choose as there are still some low-quality products on the market. Click to see Metropolitan’s License & Insurance Certifications. CALL, CHAT or SEND A MESSAGE to schedule your free estimate!